Early in my rabbinic career, I heard Alan Morinis — a teacher of Mussar, a system of Jewish character development — explain anavah, humility, not as meekness, but rather as “taking up the right amount of space.” Taking up too much space is arrogance, but taking up too little space is shrinking from our responsibilities and from the gifts we can offer. This notion of humility has profoundly influenced the way I approach leadership as a rabbi: How do I leave enough room for others in my congregation, while, at the same time, fully inhabit my role and responsibilities as a leader? At first, I thought about approaching my rabbinate as a “guide on the side” rather than the more didactic and rabbi-centric “sage on the stage.” Shunning the frontal lecture format for classes and prayer services, I opted for the more facilitative styles of chevruta study and group discussions, setting up chairs in circles or around tables, where people could face each other, rather than orient themselves toward me. Instead of spouting knowledge and authority in a booming voice, I sought to empower others in their own Jewish learning and ritual skills. I learned that taking up the right amount of space is situational. I also came to know that humility depends on the particular traits and personality of the individual; some of us need to learn to take up less space and some of us, more space. We don’t want to be so big that at a shiva house, people are talking about the rabbi who delivered the eulogy instead of talking about the deceased. But we also want our presence to be big enough to inspire others and to create a sacred space. Rabbis need to be self-aware and attentive to what a situation requires of us: Do we offer a powerful, memorable sermon that everyone will talk about or one that is careful to not overshadow the drash delivered by the bar/bat mitzvah child? I have found over time that humility — taking up the right amount of space — is less a question of frontal vs. facilitative leadership and more an expression of our kavannah, our intention, in how we serve. My intention is to serve the needs of the particular moment, rather than to have the moment be about me. Whether it’s in prayer, in teaching, or at a lifecycle event, my goal is to help open up the hearts and minds of those around me, not to focus their attention on me. Being self-aware of our temperaments and predilections, we can learn to curb our own ego and to facilitate others’ connecting with the Divine and with each other. Depending on the circumstance, rabbis may need to take up a lot of space or a little space. Either way, humility requires those of us in roles of spiritual leadership to have the kavannah that the direction of attention points not toward us but from us toward those we serve and toward the One we serve. This story "The Right Amount of Space" was written by Chai Levy. 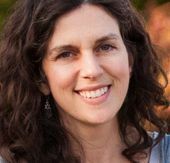 Rabbi Chai Levy serves Congregation Kol Shofar in Marin County, California, and its Center for Jewish Spirituality, which offers learning and growth through meditation, music, and practices that connect mind, body, and spirit.